Leading a healthy, active lifestyle, incorporating exertion into our everyday lives is one thing; but being a stylish, show-stopping mobile individual is just something else. 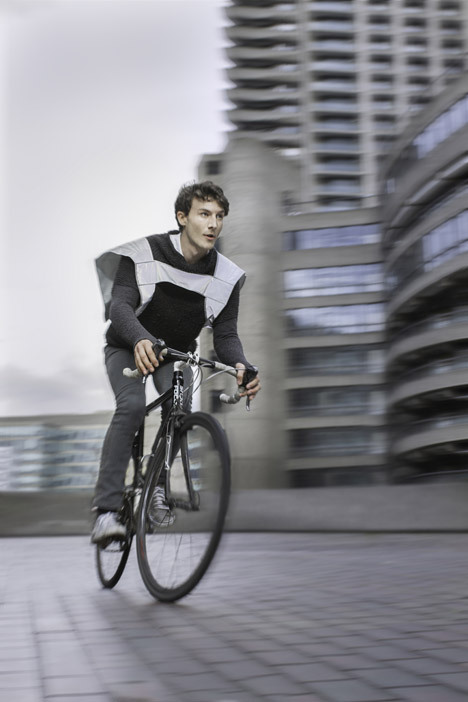 Jogging, cycling, rollerskating to school, university or work leaves you sweating, puffing, red-faced and sometimes invisible to that Ford Fiesta's blind spot. 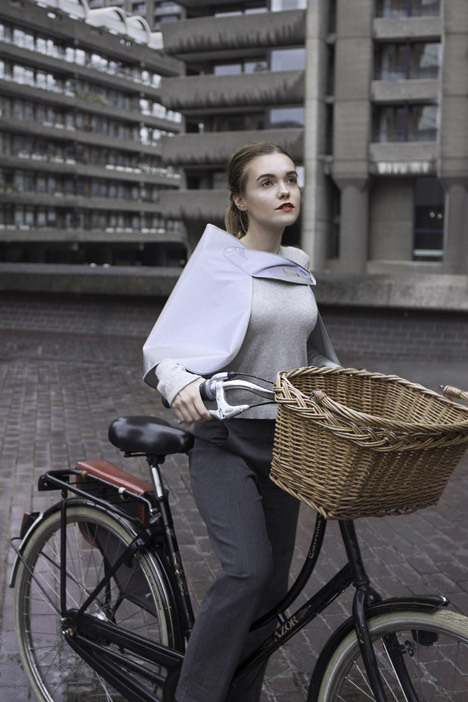 But the former travel editor of Wallpaper Magazine Sara Henrich's - an "urban cyclist herself" has designed her own range of water and wind proof attires, that keep you both visible and stylish in our ever-increasing car populated cities. The Journalist turned Fashion Designer's overall approach to this resonating issue places emphasis on her customer base to "look stylish and be safer at the same time." 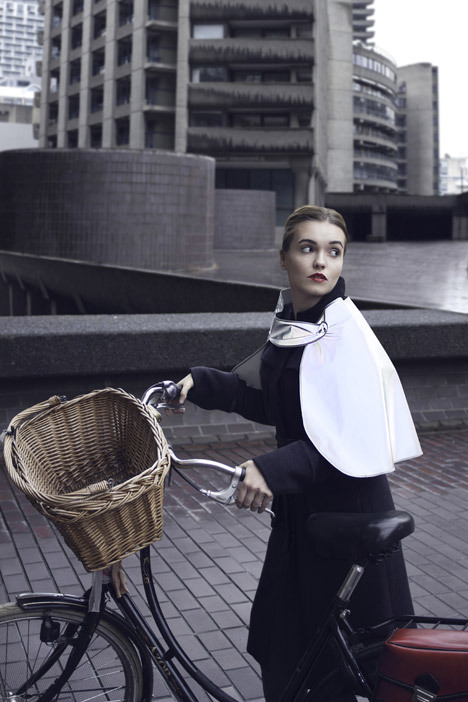 Inspired by Japanese Samurai Armour, Henrich's designs covers capes, vests, bands and all things superhero-like to power you through the day in style.